Although only several miles from Princeton and the Route 1 commuting corridor, Hopewell Township in Mercer County is still very rural in flavor. The rolling countryside is dotted with working farms alongside single family homes, highly rated schools, corporate centers and a premier medical center . Titusville, and Washington Crossing State Park provide recreational options including walking and horse trails. The village of Titusville’s central feature is a small village that sits on a bluff overlooking a picturesque stretch of the Delaware River with stairwells connecting the village to private docks on the river. 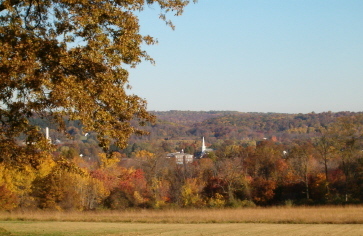 Hopewell Township is 60.40 square miles, with a population of 17,742. Hopewell Twp Real Estate Homes For Sale. Hopewell Twp Closed Real Estate Transactions.